All people learn through play. 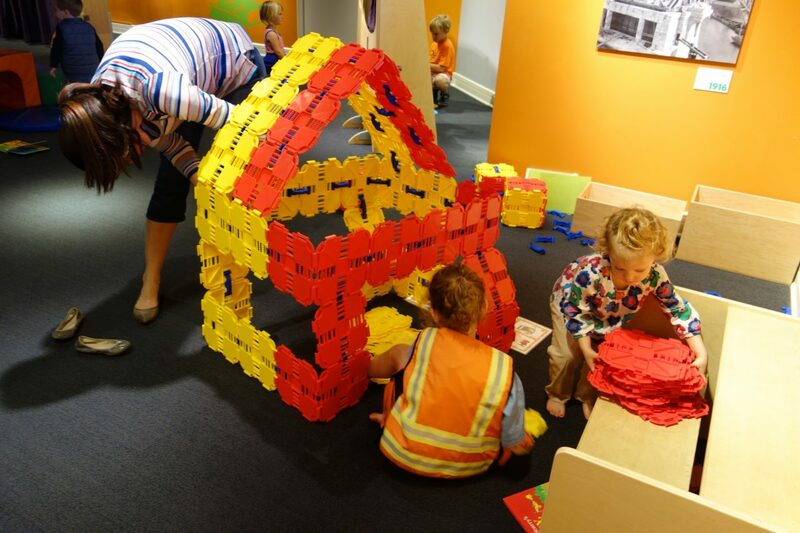 Kid-Struction Zone helps young and old visitors alike learn through these fun, hands-on interactions while stimulating curiosity and creativity. Seattle wasn’t built in a day. 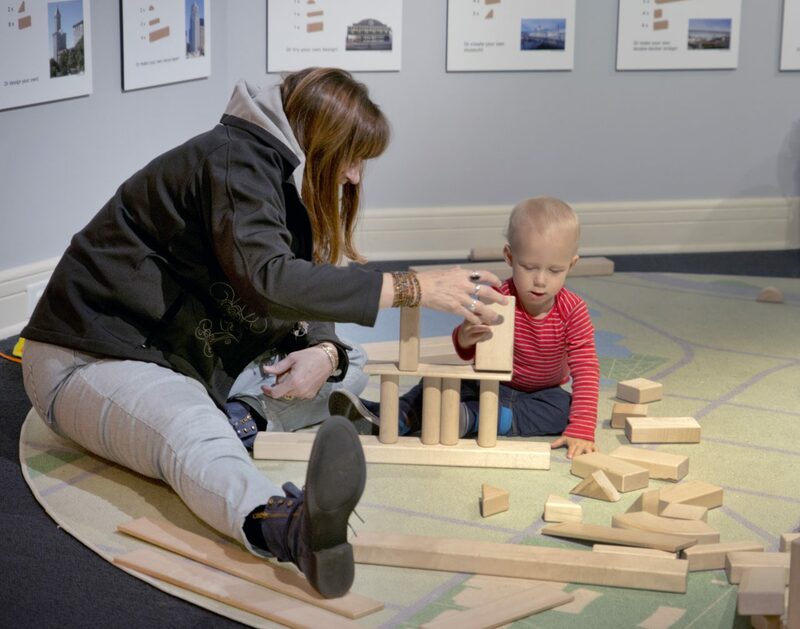 This multigenerational play space allows learners to discover how this city was and is continually being built. Rotating elements include puppet and reading stations; historic photographs and illustrations; magnet boards and a felt table; and graphic panels with ideas for building structures with blocks. Be the newest builder in Seattle, put on a show, take time out to read a book, or enjoy the view of Lake Union. It’s never too early to learn about building structures. 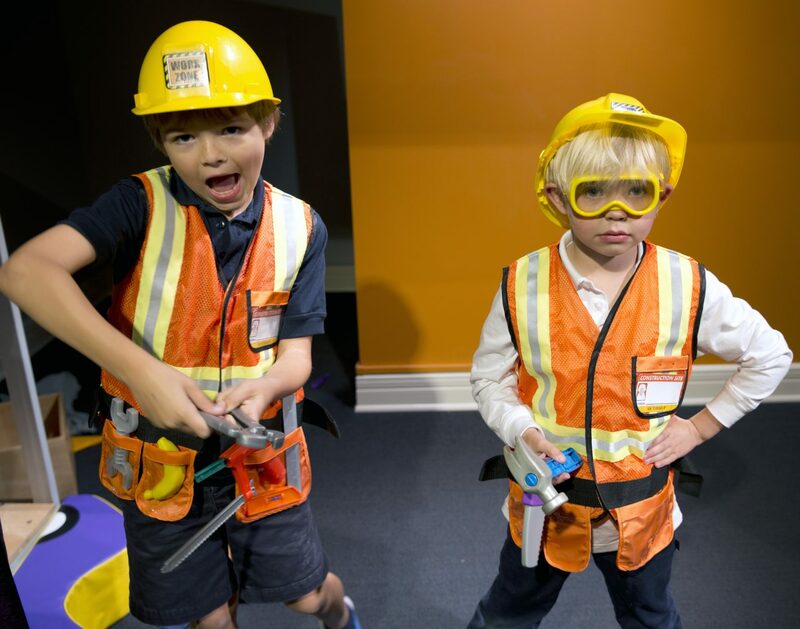 Even the littlest visitors can try their hand at engineering feats. Make sure to dress the part before starting on a construction project. Always remember, safety first! When people work together, they can accomplish any feat.